First I bought Comfort and was impressed with the quality these analogue aids provided. That was the reason I then bought a pair of their digital hearing aids – Air. If you have the money, go for Air. This product does rightly as it says it does. 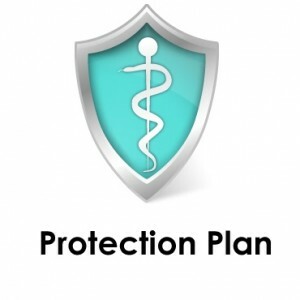 I’m impressed with the performance of the hearing aid and your customer service. Bravo! Recently, I lost my expensive Costco hearing aids because they didn’t fit well. I did have insurance on them, but it doesn’t cover the entire cost so I began looking for a new pair that would fit well and not cost a fortune. I found MediNinja and they guaranteed that their hearing aids were the best in the industry and the most affordable. I had to buy a pair and give them a try. Within a couple of days of ordering them, they arrived at my door and I got to try them out before lunch. I tell you, I can hear better than ever before, even before I needed hearing aids! If you need hearing aids, stop looking around and buy EarCentric hearing aids from MediNinja today! Great product, great prices and a wonderful company to do business with. I can’t say enough about how much I like dealing with MediNinja. 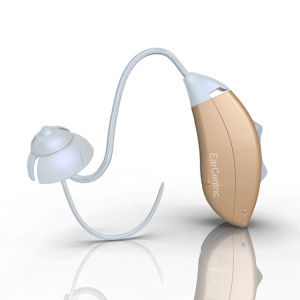 Their line of EarCentric hearing aids are, hands down, the best on the market. I ordered my hearing aids hoping they would help me with my severe hearing loss and they did more than that, they let me hear again and that changed my life! Everyone should shop with MediNinja! This is a great investment for my money. 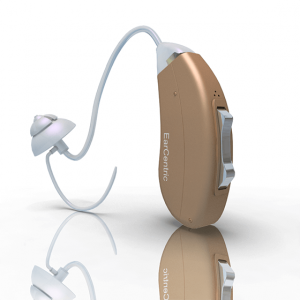 Better than the value I enjoyed when I used my $2500 hearing aids, I enjoyed using the EarCentric Clarity200. The first performance of the first I got was pleasing and I was compelled to order the second. I sometimes use it with my custom ear mold – that’s more joyful. I marvel at the last longing-batteries, no hearing aids I know of sport such powerful batteries. Thanks! So far I am still waiting for my hearing aid.ordered 2-20 but still waiting...out if stock but said its shipped. Then said went out to usps..no tracking with usps . i am hoping product isnt like service. Reasonable price for me Outstanding. Fast delivery I doff my hat to the management of MediNinja – for the good support, extremely fast delivery, and awesome price. You guys nailed it with the SMART… what an amazing product! Thank you MediNinja for accepting my return and processing my refund so quickly. I have used many hearing aids over the years for my severe hearing loss and they just don’t help me. I do think your products were the best I have tried, but I still am not completely sold on the idea. Your staff was very helpful, the instructions you provided were easy to understand and you even shipped out my order quickly. I will tell everyone about your company as well as to inform them that mild to severe hearing loss is no joke, they should all get a hearing test to see if they need a hearing aid. My $3000 hearing aid was a thorn at my neck for two years. It whistles a lot even though my doctor adjusted it a lot of times. I will hear whistles during conversations which im not comfortable with. The SMART is short of that. I hear conversations with extreme clarity and loudness too. My brother envied me when he got to know that my SMART perform at a similar level with his 5000 dollars hearing aids. With the long lasting battery, I have gotten more than I desire. Thank you. Superb customer service Was really impressed with the customer service, how quickly they responded to my questions, and how nice they were. Good customer service is hard to come by, so thank you guys. I love my new hearing aid from EarCentric but what I love more is the level of customer service and support I received from MediNinja when I damaged my earpiece. They replaced it quickly with no hassles and no long, drawn out process. I tell everybody I meet about the quality products and service I got from MediNinja! I just wanted to write in and say thank you for the excellent service your staff has provided me. I needed some questions answered so I took a chance to contact MediNinja, not expecting an answer so soon. Within just a couple of hours, I had received a response and was satisfied with the answers I received. Truly a world class company! For over 30 years I have had Hearing Aids and after stepping on one of a new set, I was in tears. Those aids came from the VA and I had to wait long to get them. To embarrassed to report this to them I did some research on line, found your aids and decided to give them a try. Wow! these are better than any I have ever had. I will do my best to keep them safe, clean and out from under my feet. In addition, I have two friends who I plan to give your information to. Thanks again! A company with a high level of professionalism. Thank you for delivering this product early. Hello Medininja! What else can I say? MediNinja is simply amazing. Many thanks! Did you know that turn signals make clicking noises inside the car? I do now thanks to my new EarCentric hearing aids! I also heard a few other noises my care was making and that isn’t so good, but hey, I can hear again! It seems almost like a miracle to me and it was something that I thought would never happen to me as I couldn’t ever afford a pair of hearing aids, or so I thought. 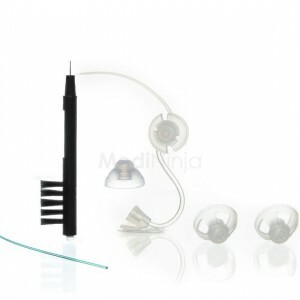 MediNinja has made it affordable for me to wear hearing aids and hear clearly again! My order arrived today and they worked well. It was dream come true for me. Everyone at home were happy for me. No more “huh?” or “pardon?” we all sat around to watch TV in the afternoon and we increased the volume to 15 as opposed the 30. The details of everyone’s conversation went into my ear with optimum clarity…including the mid-range sounds. This is a fantastic product at a decent price for people like me who can’t afford expensive hearing aids. My heart bless EarCentric. More grease to your elbow. MediNinja, thank you for the support and early delivery. Works just as good at my $2,000 set and it’s less than half the price. No complaints; I would give this 10 stars if I could. Just received today a Mini BTE to try on my left ear. It is so similar to the Phonak units I hadthat cost so much more. Opted to try the pre-programmed and I have to say I am quite pleased. I will wear for two weeks like the manual states to train my brain. I look forward to ordering a unit for my right ear. You can be sure I will telling others to check your products first. I commend MediNinja for their awesome customer service. The hearing aid I ordered was delivered on the stipulated date. I’m pleased with the SMART amplifier. Being the first time I will use a hearing aid, SMART’s light weight makes me forget I wear anything. It amplifiers sound accurately too. I have needed Hearing aids all my adult life "now 56" I have had severe to moderate loss since i was very young, i simply just could not afford the outrageous prices other main companies wanted. i searched the internet and found medininja.com read and reread the reviews. I also googled for bad reviews but didnt find a single bad review.i fought with ordering and not ordering im so very glad i decided to order them.i can hear things that i didnt even realize i wasnt hearing. i bought the smart hearing aids, yes a pair. i would reccomend these for anyone struggling with not being able to afford the higher prices of others.this is my first pair of any type .i would buy them again and i have been told by hearing doctors i needed them badly.i love them.the customer service is excellent people laurence is a 5 star rep. Thanks for your prompt response Just want to thank customer service for responding so quickly. They did exactly what I wanted and more! MediNinja refund policy is above reproach. Easy return policy! After finding out that my father’s expensive hearing aids had fallen apart again, I decided to purchase a new pair from MediNinja last June as a Father’s Day gift. The difference they made for his hearing was phenomenal and it brought us closer together as we could begin to talk more frequently. Shortly after, he was diagnosed with ALS and his only comfort was our daily talks which he could hear every work thanks to his new hearing aids. He recently passed but I knew his hearing aids had made a difference as he was comforted by his constant contact with friends and family. For about 10 years, I’ve used professional hearing aids. Both expensive and moderately expensive one. None comes close to the quality of sound SMART produced. I enjoyed better sound experience in church, live theater, and meetings with great improvement. This is a huge positive improvement to my life. Delivery of the product was wonderful too. My SMART hearing aids works flawlessly and the cost less that every dime I spent on the repair of my last hearing aid. We are talking of a ratio of 1 to 25…. This is unbelievable! This is a highly recommended product. Great Experience! When we called MediNinja, they were some of the most helpful and friendly people we have ever dealt with. 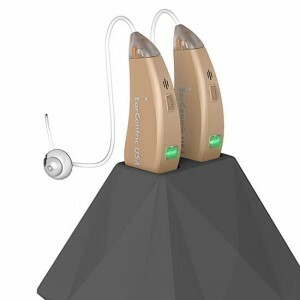 We placed our order and received it just a couple of days later which was a surprise to us and we didn’t expect the hearing aids for a couple of weeks. We bought them for my brother who desperately needed hearing aids but couldn’t afford them. The EarCentric hearing aids are working great and we are already saving up for an upgrade for him. Thank you MediNinja! I have been suffering from hearing loss since 20. Now I am 76 and I still have the problem. All these years, I have tried more than 10 companies of hearing aids. They were good but all of them were expensive. This time I decided to buy EarCentric because of the great reviews their products had. 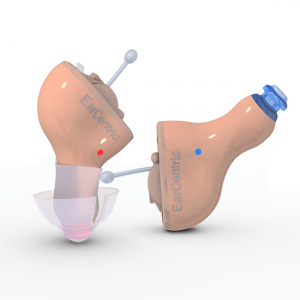 I must say that EarCentric has done a real good job with their hearing aids. The cost is almost half of what an average hearing aid of some other company would cost and the quality is better than most of the hearing aids I have worn in the last 50 years. I would recommend them. I couldn't be happier with my new hearing aids! Very prompt service and very helpful. Will tell anyone who needs a hearing aid to use this company. You cannot beat their prices! I have been suffering from hear loss from last 20 years and being a lawyer, I cannot afford to miss anything the judge or the opposition says. Anyway, I ordered 2 of these hearing aids a few years back and impressively, they still continue to perform like new. I must say at that price, I never thought they would last any longer than an year or so. In early October, I returned a defective hearing aid and in less than a few days, I had the replacement in my hands and ready to use! I was so impressed with MediNinja and their support team that I had to leave this message thanking them and recommending them to others. It awed me beyond expectation. I watch the TV with much clearer sound now. My TV and radio set don’t operate at a high volume level ever since. I got all I want. Thank you. I lost my pair of expensive hearing aids few days back. When I spoke with MediNinja support as suggested with a close pal of mine in school, they was so kind to explain the functions of the device. They promised to refund me if the device didn’t meet my expectation. My two SMARTs were delivered two days earlier and they actually work… amazingly too! Thank you. Although its been just a week but I know I will be using them regularly until I lose them. I started having trouble listening to high pitch. At first I thought I could live with it but my grandson changed my decision. He is living with me for next 6 months and I cannot afford to miss his cute conversations he wants to have with me. I did a lot of research and read a lot of reviews before deciding to go with EarCentric. At that price, I wasn’t sure about the quality but they turned out great. I highly recommend Comfort to people suffering from even the mild hearing loss. I had to return my hearing aids due to some personal issues. MediNinja was generous enough to accept the return and refund quickly. Thank you is the least I can say for manufacturing such a great product at such a low price. You are truly changing the game. Thanks to you I can now hear the rain falling and the birds singing. Without MediNinja, life would not have been the same. Speechless! Easy to use, affordable and convenient; what more could you want? MediNinja shipped my EarCentric hearing aid replacement the same day I contacted them about the problems I was having and before I could even package up the old one, my new one was here and I can hear again! It’s such a great feeling that I don’t think words can describe. My previous $5000 hearing aid is a learner compare to SMART. I still find it hard to believe that I fell for the sugar-coated mouth of that bald-headed sales rep. If SMART’s price is hiked by 200% tomorrow, it’s worth it. But before that happens, I am getting a second aid as backup tonight. Thanks. I thought I should take a moment to reply to this letter and thank you for help. You guys are really helpful!! I placed an order for my mother-in-law who is a severe hearing loss patient. When the doctor diagnosed her, he recommended that we buy a $5000 hearing aid. Mother-inlaw said she won’t buy it because it was too expensive. I came to Medininja to see if I could see a decent device to buy for her. After reading the reviews, bought one. Nevertheless, I was afraid the product won’t work as advertised because of the price. It has extremely benefited my mother-in-law and sometimes, she would have me turn its volume down when she’s watching TV or in a gathering. She would say it’s too loud. I’m extremely happy. I got a great deal for her and she is loving every moment with it. I am very much impressed with the quality of the hearing aids. I have had a hearing loss problem since childhood and I have been wearing aids all my life. I have tried countless hearing aids but none of them was as good as this one. 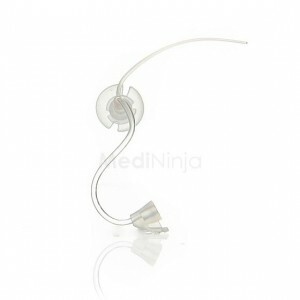 With the prices almost half of the regular aids, MediNinja is doing an excellent job with hearing aids. Great recommendation! Excellent product! Thank you guys for recommending my EarCentric Choice hearing aids to me. They have really made a difference in my hearing and in my life. Keep making great products and selling them for low prices! Prompt service and this thing really works. Exceptional value. MediNinja is ninja fast! I placed my order, someone friendly on the phone assured me that it would arrive in just a couple of days and it did! 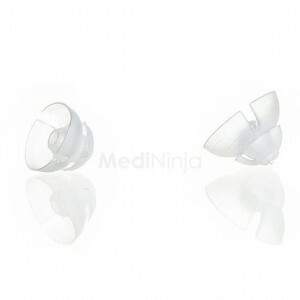 I still have to mail in my broken hearing aid, but I wanted to thank MediNinja where their customers can see it so others know how much I like dealing with MediNinja. Overall, 5 Stars all the way! Customer service (I used the 'chat' format) was terrific during pre-purchase, during set-up and use, and unfortunately, for me, the return. My 'profound' hearing loss did not make me the perfect candidate but with the reassurances, I gave the Choice units the old 'college try' . 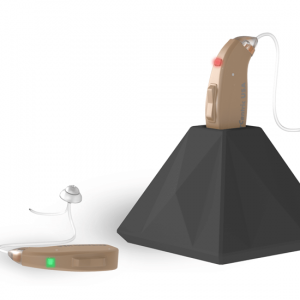 . . well, I've been told that Medninja is developing a new unit for folks with my level of hearing loss: I look forward to trying the new units in the near future. 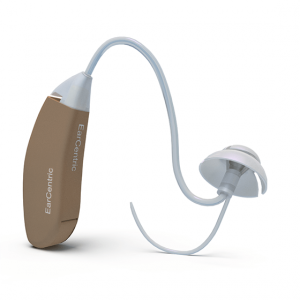 I can’t describe how much I love these hearing aids! How can I sum up into words how much I love my new hearing aids from MediNinja? They are the best hearing aids I have ever owned at any price and they make just about everything else on the market seem dated. I don’t ask people to repeat themselves and I can hear everything that is said in conversations which I couldn’t ever do before even with my last pair of hearing aids. These new ones did take some getting used to and the battery life is rather short, but I can’t say enough about how great these behind the ear hearing aids really are! This is a wonderful product. For the longest time I could not afford a hearing aid, and many of the cheaper ones I did try simply did not work. I saw an ad for these though, brought them based on the price, and have loved them ever since. I would recommend MediNinja for two reasons: Quality and Price. The ROI their products have is excellent. Thank you… Awesome products! I love it. This is the best aid I have used in 25 years. I can even hear birds singing and rain falling!